The classic Bill's T Records, and I believe the last of their shops to close, was on the SE corner of Admiral and Harvard, which is now a used furniture store. To enter the brick fortress you had to pass under the art deco steeple over the corner entrance that still rivals any building in town for both style and Freudian symbolism. Inside, the 8-track tapes were lined along the south wall, the albums took up most of the floor space, and the singles bins, which contained the most amazing selections of music in town, were lined up against west wall/window until around 1974 (?) when they found their final resting place along the north wall. In the back there was a grimy, depressing repair shop that always wanted to charge about 66% of whatever a component was worth to "fix" it (they made it work, but usually with an annoying side effect, like a squeak on the turntable or the 8-Track playing head would be knocked out of register). There were no real great personalities in the store. I remember one guy who I now associate with the R.Crumb comic where he is interviewed by a VERY 70's guy, with chains, bellbottoms, platforms, pornstar moustache, and manicured man-perm. The guy at Bill's T had all that and he smelled pretty, too. I mostly remember a montage of cute 16-year-old girls who worked there. They usually hung on to the job until their obsession with rock 'n' roll interfered with the school work (laugh if you want to, but the pop music productions of the 1970s were as addictive as potato chips). There was a satellite store in North Tulsa, located between Frankfort and Hartford on 46th Street North, which is now a virtually abandoned shopping strip mall. It was sold to White's Records, as that company's only satellite store, around 1974. There was one in East Tulsa (somewhere on or past Memorial) and one in Pawhuska on Main street, which also seemed to be part of a soda shop (the space was a mattress shop last time I was up there). I believe there was another outlet in one of the surrounding cites, but it's been so long it's just a fuzzy piece of corrupted data in my head. 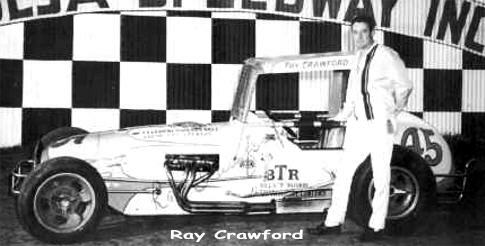 I remember the one in Pawhuska (and please correct me if that wasn't a Bill's T) going out of business LITERALLY the week I decided I wanted to collect records (1972 at the age of 10). I remember visiting the North Tulsa store a couple of times, but I only visited the East Tulsa store once. "In the '60s, (Tony Twist) put together his first band, the Paragons. They played for the KAKC Caravan and played at the long-departed Continental Roller Rink. "For about a year, he and Charlie Daniels toured as a duet, Anthony and Charles. 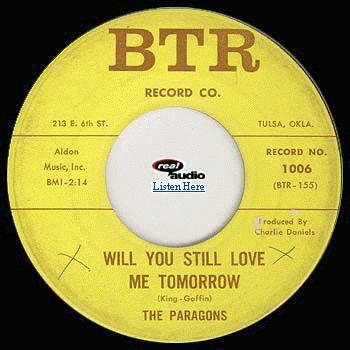 They even had a record, "Will You Still Love Me Tomorrow? ", that saw considerable action on the national charts." Webmaster: Tony Twist and the Paragons, Charlie Daniels with his band, the Jaguars, were all regulars at the Fondalite club on the Corner of Dreams. I watched (KVOO-AM's Jack Moore) record Charlie Daniels in the old master recording studio at KVOO on the second floor of Channel 2. Charlie was doing British rock in those days...before he went country. Thirty-Nine Questions for Charlie Daniels Upon Hearing "The Devil Went Down to Georgia" for the First Time in 25 Years. In retrospect, the amount of what are now classic and valuable albums and singles that passed through that Harvard store is mind blowing. At the time I started collecting, Bill's T was the only place I knew of that kept their oldies singles section stocked. I bought Beatles Apple singles in the picture sleeves for $1.50 each. At that time the only other place to obtain singles were either via the top forty racks at TG&Y, Dillards, Sears and their competitors - meaning once a single is off the charts it's gone from those stores forever. On occasion stores would have a dump bind where both original pressings and reissues of rock and pop singles were placed in no particular order in a rack, usually shrink wrapped against a piece of printed cardboard that mimicked the file cards for singles in record stores. At the time the single had been devalued in America; the LP was king, and it was portable on 8-Track tape. British bands traditionally put out either uncollected singles, or uncollected b-sides. Elton John, all of the Beatles (as solo acts) and other artists continued to put out unreleased singles throughout the 1970s but the format was not that popular in America. Over here even The Beatles' catalogue was originally rearranged so that virtually every track was available on LP. Sociologically, Bill's Ts created a unique style of collector/fan by offering singles. As kids, we just didn't have that much money to spend, so rather than buy an album a lot of us would buy a handful of singles instead. 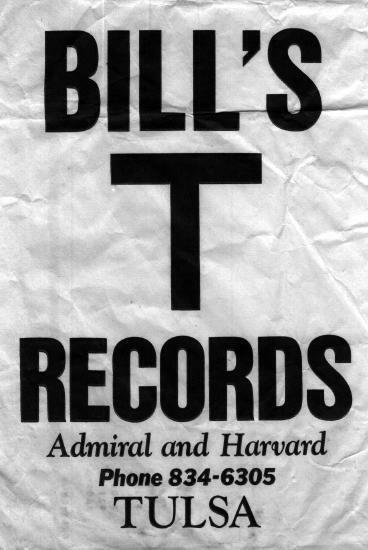 At the time, none of us realized these were rare and limited records, and obviously Bill's T didn't care either, as long as they made money off of their inventory. We could get our hands on almost any song that had ever hit the top 40. Around 1975 I started going to Honest John's (which is now the Starship record store) due to brainwashing aerial bombardments on KMOD every hour. "The Latest from KISS, three eighty-eight, TED NUGENT, three eighty-eight, STEELY DAN, three..." $3.88 with tax came to $4 even, about a dollar cheaper than anyone else in town, and they literally stocked stacks of albums! I went back to Bill's T one last time around 1977 and they were pretty much left in the dust. They didn't even have enough business to justify stocking the top 20 singles. I don't know exactly when they disappeared. If anyone knows why they were called Bill's T (and if anyone knows the correct spelling) please let me know. I grew up in that area and frequented BTR quite a bit. I know for sure it was still open in 1983. I used to ride my bike there and purchase records (bringing them home was the hard part!) and I remember that summer in particular. I think it closed the following year, but I could be wrong about that.